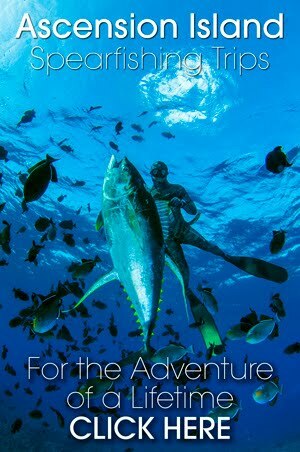 Professional Spearfishing Guide Specialising in Spearing Trips to Madagascar & Mozambique. Hey check out Steve Benjamin's lates video clip on Mako Sharks filmed down in the Cape. Sorry for not posting much over the last few weeks. Its just that there has been very little going on in the spearfishing world up here on the North Coast. There have been the odd day that's been dive-able, but unfortunately not many fish to speak of. There have been a few couta shot off the Westbrook - Umhloti streach last week. But nothing this side!! The paddle -ski guys have been getting good sized Couta off Zinkwazi, but the water there has been rather green and no chance of getting a dive in. I am sure that the action will turn to the south coast now as we get closer to the sard season. I heard that Scotty's has had some clean water. And it wont be long before we get rapports of good Couta there. A mate down at Port Edward caught a 22kg Couta a couple days ago so the big fish have already reached the Kei, so I am sure as soon as they get some clean water there the guys will get some fish. Next weekend is the annual pilgrimage to Vidal for the Winter Game Fish Comp. This should be a blast as always and it looks like there will be some good diving too. There have been quiet a few reports of good fish up there, mostly shoal fish ...but fish never the less. Ryan Burmeister is the new South African Spearfishing Champion! Ryan walked away with the top honors last night at the Nationals Awards Evening. It is good to see a chap who has been quietly lurking in the shadows of spearfishing in South Africa. 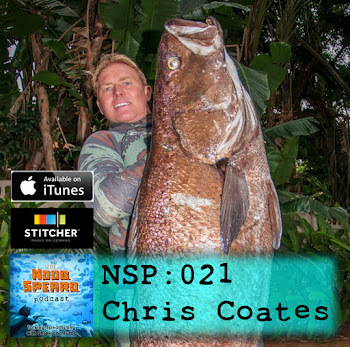 He has a couple SA spearfishing records and has made the National Spearfishing team, some times even only as a reserve. For years he has been in the top results at almost all of the comps that he has taken part in, and has done so with very little 'Song & Dance'. So hats of to Ryan who deserves this recognition as South Africa's finest. The Cape Yellow Tail spearfishing has been quiet good latley, I met Steve Benjamin last night in Cape town and he recently had a good day spearfishing at Arniston. Check out this video of them shooting some yellow tail. Enter your email address below to get the posts direct in your inbox. 600 MAMBA / Rob Allen Roller Gun? Some of the views points and topics posted on this Spearfishing Blog are not necessarily endorsed by this website, its owners and associated parties. Copyright. Coatesman 2010. Simple theme. Powered by Blogger.